There is now a unique Beach House sound. It’s not the shimmery synths or the arpeggio guitar. They’re standard dream pop. What sets Beach House apart is the voice of Victoria Legrand. Deep. Compelling. There’s a fullness to the vocals that’s absent from similar bands. Sure, sometimes the lyrics get lost, but it doesn’t matter. Her voice is integral to the overall sound. Another instrument. The phrasing is slow. Unrushed. The vowels go on and on. They lift up ever so slowly and then fall more slowly still. The effect is a wonderful sense of space and more than a hint of melancholy. On Bloom, the Beach House sound has been perfected. Like on the previous album, Teen Dream, none of the songs on Bloom outstay their welcome. They’re given time to develop, but there’s no room for self-indulgence. However, perhaps because the Beach House sound has been perfected, Bloom is also a little less immediate than its predecessor. There are fewer stand-out songs. Fewer commercial-ready tunes. Beach House are a serious outfit and increasingly so. That’s not to say that the songs on Bloom are difficult to listen to. They’re intricate for sure, but they’re no exercise in contrapuntal polyphony. There’s just slightly less joy than before. And that’s because, more and more, the songs are built around the voice of Victoria Legrand. That’s no bad thing. Maybe because of her upbringing, she sings the songs from a slightly other place. And that makes them, and Beach House, both interesting and different. 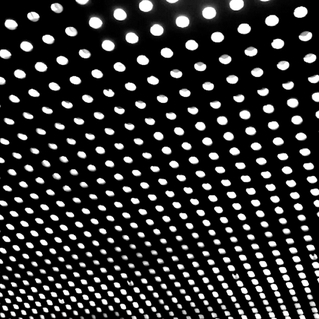 Posted in Beach House and tagged as Music, Review.